Below are instructions for how to update your business listing that you had already claimed. If you haven’t claimed your listing yet, please follow this link. To update a listing you’ve already claimed, check if you’re logged in by following this link. If you see a black bar at the top, you’re logged in. 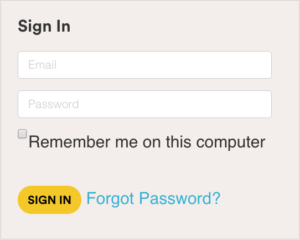 If instead you’re shown the log in page, you’ll need to sign in using your email and password (your password was sent to you in an email titled “Your Log In Details”). Now that you’re logged in, go to our directory’s homepage and type in your business name into the search field to locate your listing. Once we approve your claim, you’ll be able to make edits to your listing. Just look for the “Edit this Post” link. The update form will allow you to add pictures, description, and contact information. Please note that we use a 3rd party phone number so that if you can block unsolicited calls from telemarketers. When you’re done with your changes, just click on the “Review Your Listing” button, and then confirm your changes by clicking on the “Update Now” button.